Preferred way to receive queries is using the Contact Us: Story Idea form. 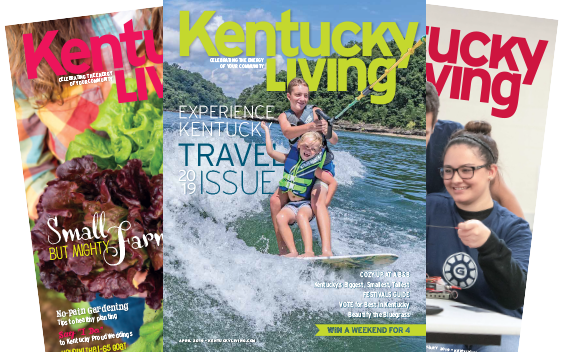 Kentucky Living is a monthly magazine consisting of a front-of-book section, On the Grid, which focuses on energy, and a back-of-book section that focuses on Kentucky Culture. Commonwealths, the grazing section in the front, covers both energy and general Kentucky culture short topics on money, energy news, energy tips, electric co-op member news, technology, Kentucky books and authors, and other community news. In the center, general features reflect the character and culture of Kentucky—its people, places, history, lifestyle, and unique characteristics. It also carries colorful personality profiles, an events and attractions guide, and important features on energy, business, and social trends. Annual Issues include: College Preview in February, Lawn & Garden in March, Travel in April, Home Improvement in May, Education in September, and Energy in October. We also run a January economic development focus and a November health focus. Circulation: 475,000 monthly (Alliance for Audited Media) with a readership of 1.2 million (MRI Custom Research). ARE YOU A NEW WRITER TO US? Please tell us a little about yourself and your writing niche. Submit your biography along with a variety of 3-4 of your published work as manuscripts and/or PDFs of the finished piece. You may send a portfolio link. Submit via the Contact Us Freelancer form. TERMS Typically buys full modified rights (unless otherwise noted), which allows the writer to reuse their material elsewhere as long as it is not substantially similar to what was published in Kentucky Living, and allows us to reuse the material online or to repackage it for other purposes. Assignments vary 500-1,500 words. Payment varies for features and columns; $75-$935 upon acceptance; we also purchase online-only stories. Usually publishes manuscripts 3-12 months after acceptance. Byline given. Copyrighted. STORY IDEAS Kentucky Living reviews editorial ideas in June in order to plan the following year’s editorial. Submit major feature ideas one year to 18 months in advance; submit seasonal/holiday material at least 6 months for short blurbs or up to 18 months for features so we may take photos the year before (unless strong existing photos exist). Strongly prefers material not previously published. Prefers queries rather than submissions of manuscripts. Simultaneous submission okay if noted. 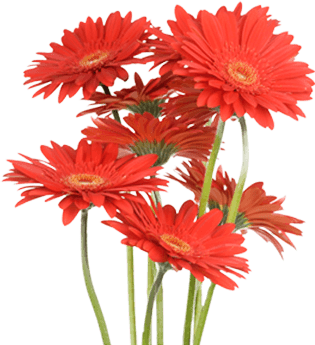 Preferred method is to receive online at www.kentuckyliving.com; include writing samples. Responds in three months. Please do not phone or fax. Check our digital editions to determine what stories we have run the past several years, or do keyword searches on the website. SUBMISSIONS Final features should be submitted in electronic format. Email to the assigning editor as an attached text file, preferably MS Word. If unsure, save your attachment as an rtf or Rich Text Format. NONFICTION Prefers Kentucky-related profiles (people, places, or events), business and social trends, history, biography, recreation, travel, leisure or lifestyle articles, or book excerpts; articles on contemporary subjects of general public interest and general consumer-related features. Publishes some articles of exceptional quality and opinion pieces from qualified authorities. No fiction, poetry, or general nostalgia. PHOTOS State availability and sources of photos for your feature article. 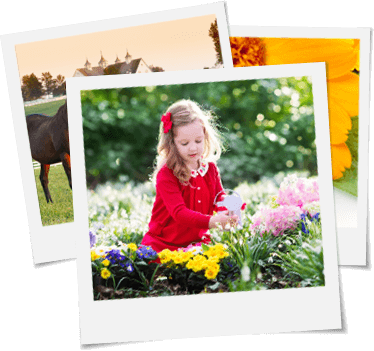 Requires high-resolution 72 dpi jpg electronic files in the range of 40×50 image size (large enough to achieve an 9×11 photo at 300 dpi for feature leads and possible covers). Identification of subjects required. Payment included in payment for manuscript. TIPS Quality of writing and reporting (factual, objective, and thorough) considered in setting payment price. Prefers well-documented pieces filled with personalities, quotations, and anecdotes. Avoid boosterism. Focus on people and aspects that give the story significance in all parts of the state. Published stories tend to be positive and upbeat, and showcase Kentucky as a progressive state. Uniquely Kentucky angle is a must. Typically assigned feature stories for Kentucky Living should have several quotable subjects, with several of those subjects from electric co-op members across the state in various geographical areas. Provide 2 sidebars to your story. Videos and other online visible ties are important for pushing the story on social media. Provide contact info, phone numbers, addresses, etc., within story where appropriate for more information to readers. Consider including a list of online web addresses, books, or other sources for readers to learn more. Always secure a phone number for more information from sources or so we may verify information. A web-only sidebar is also required for most print stories. An assignment sheet is provided that outlines details once we assign a story to writers. Do not rely solely on web or internet sources for factual information. You must verify this information with a person, rather than simply pulling it from a website, as so much web material is outdated. We prefer writing in the present tense whenever practical. STYLE We follow Associated Press Stylebook and Libel Manual. Some of the more recent changes we are using are: internet, website, email, and commonwealth of Kentucky. Submit single spaced manuscripts, no double lines between paragraphs, and indent your paragraphs using tabs. Editorial style requires 1 space only after the period. Do not use special formatting features in your document. …Use three dots…with no spaces around the dots. spaces Always use one space between sentences, never two. Please use tab settings to indent instead of using your spacebar. other Do not use special formatting features in your files, i.e., automatic bullets. Use * or • instead to set off lists. SOURCES At time of submission, we require a list of names, street addresses, phone numbers, and emails of the people quoted (or shown in photos if you submitted as well), other facts, or website listed info included in the story. This serves for quality control purposes, fact checking, and proofing of your story sources, updating of the article when necessary. We also mail copies of the printed magazine to individuals featured and on the source listing. The source list is due at deadline or submission of your story and is very important. Use the provided Excel file or stack that info at the bottom of your Word document. STATEMENT OF PURPOSE Kentucky Living is published to create a community of people who take pride in thinking of themselves as Kentuckians and as knowledgeable electric co-op members, in order to improve their quality of life.